This TV set was the futuristic vision of illustrator Frank R. Paul in 1922. And I absolutely love it. I'm pretty obsessed with the ideas that illustrators, writers and technologists had for television in the 1920s. It was a decade when radio broadcasting went from niche to mainstream. So the ideas that people had for TV, before the first successful TV transmission was demonstrated in 1925, look like amazing contraptions that stretched the sci-fi imagination. As I've written many times before, TV was often imagined as a two-way medium, allowing people to talk the way we do today via Skype or FaceTime. 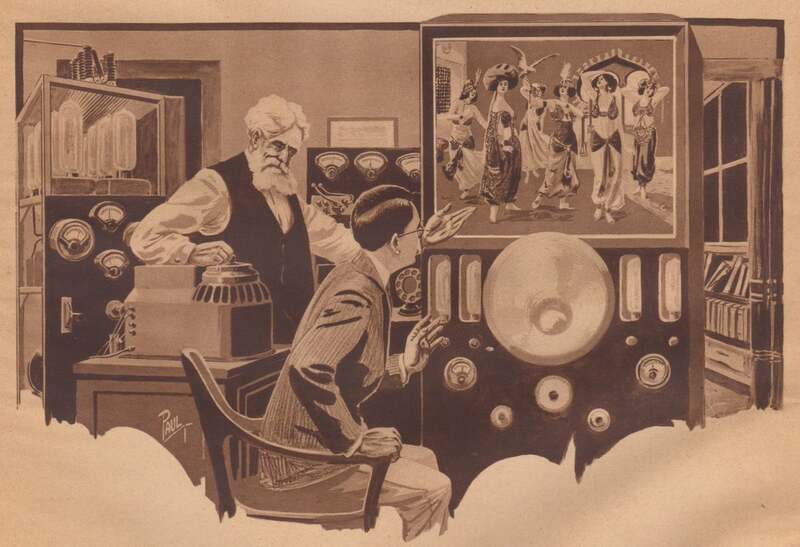 But sometimes "TV" was also shown as simply a one-way broadcast medium that could educate and enthral viewers about things that were happening all around the globe, like we see in the illustration above from the October 1922 issue of Science and Invention magazine. When this image was published in 1922, Americans were already very familiar with movies and their capacity to transport audiences through moving pictures. But TV was still a fantastical dream — an appliance that might allow for watching live broadcasting in the comfort of your own home, in vivid colour no less. The story that accompanied this illustration featured the fictional Doctor Hackensaw, a fabulous inventor who would bring the readers of Science and Invention his fantastic new contraptions each month. This is my television apparatus. It does for images what the telephone does for sounds — carries them hundreds of miles and even further if desired. By means of electrical waves the images of an object in Chicago, or even in San Francisco is brought to me here in my laboratory in New York. Nor is it a motionless photograph in black and white that I receive. The objection in motion, in its natural colours is thrown upon this screen here enlarged to any size I desire. I really have a moving picture in colours of whatever scene is thrown upon the receiver of the apparatus at the sending station. One of the most interesting things you'll notice in this illustration is the large horn just below the screen. 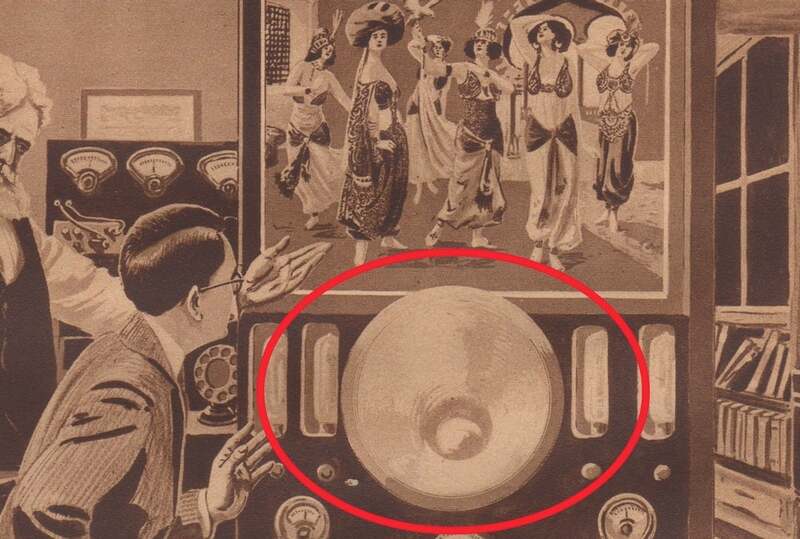 The modern loudspeaker wasn't invented until the mid-1920s, so in this depiction from 1922, the TV has a horn like you might see on an old-fashioned Victrola. The story explained that the reporter had seen movies, but this was an entirely new experience. The reporter gazed at the picture on the screen with interest. He had seen movies in colour — either hand-painted negatives or photographs taken by the three-colour process, but never had he seen any reproductions so perfect as this. The images were as life-like as if the dancers were in the very room and he were looking at their reflection in the mirror. Ironically, of course, the illustration inside the magazine wasn't even in colour. 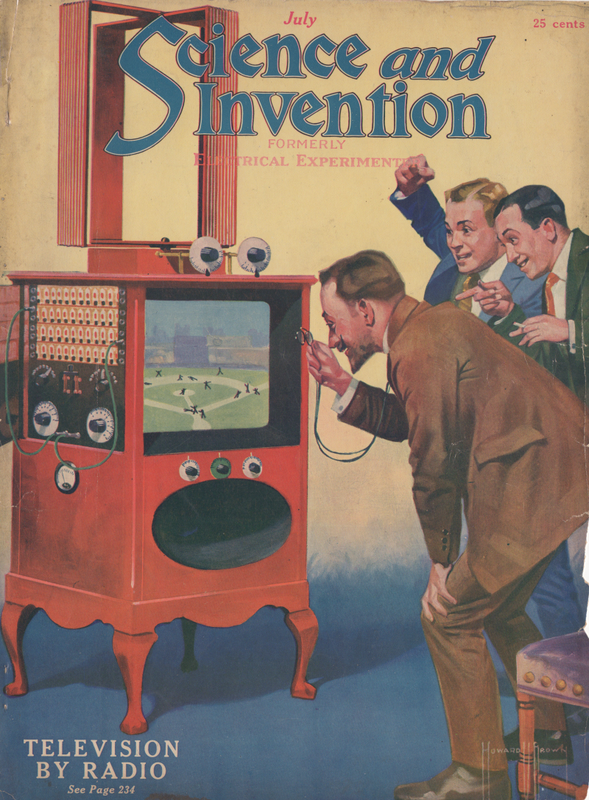 Only the cover of Science and Invention was in colour, though readers did see an amazing colour TV on the cover of the July 1922 issue — perhaps the first colour depiction of a colour TV in the world. At the time it was explained as "television by radio." TV wouldn't become mainstream in the US until the early 1950s, emerging after decades of promises that were sidelined by things like the Great Depression of the 1930s and World War II in the 1940s. But by the late 1940s, wealthy Americans were finally getting a taste of the technology that had been promised for decades, a technology whose sci-fi origins dated back to the 19th century even. 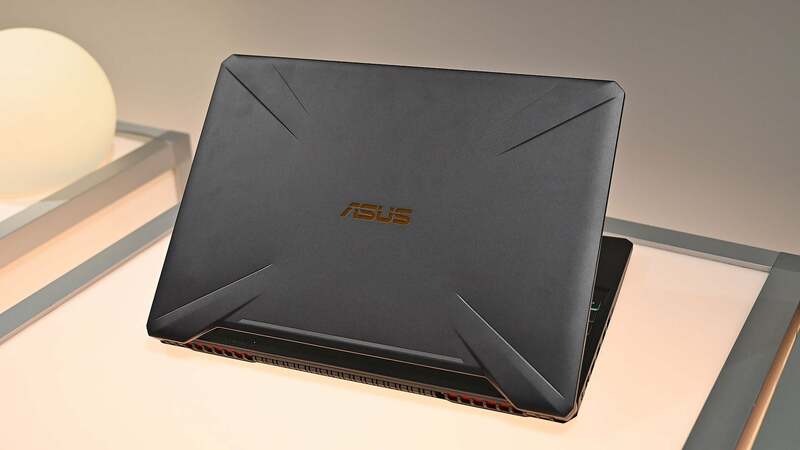 And the technology would take off like a flash. 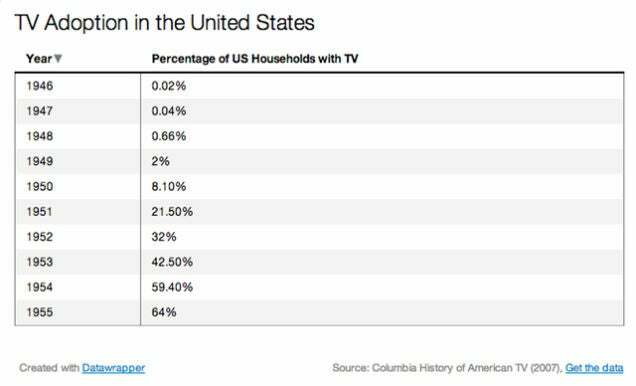 By 1949, just two per cent of American households had a TV. But that would become 8 per cent by 1950 and roughly 21 per cent by 1951. By 1955, a full 64 per cent of Americans had a TV set, even if they weren't colour miracles like the one that the fictional Doctor Hackensaw was showing off to reporters in 1922. Today, most TV sets are like a blank screen, devoid of character beyond what's played on it. But back in the earliest days of imagining what TV looked like, the appliance was a magic technology with plenty of dials, tubes, and yes, even an amplifying horn where a proper modern speaker should be.